Global Construction Glass Market size was valued at $76,036 million in 2015, and is expected to reach $121,877 million by 2022, growing at a CAGR of 7.1% during the forecast period. Construction glass is a translucent coating material utilized for glass doors, glass windows, and transparent walls. The glass possesses properties such as thermal insulation, water proofing, and energy conservation, thus making it a viable option as a building material in construction businesses. Asia-Pacific dominates the construction glass market throughout the forecast period due to growth in regulations and infrastructure development in emerging countries such as India, China, Indonesia, and others. Major players focus on the development of energy-efficient glass products to reach wider customer base. For example, PPG Industries, Inc. launched Solarban z75 low-e glass that minimizes the amount of heat entering into buildings. It plays an important role in building design and provides superior solar control properties to support sustainable design. Rise in construction industry, advancements in the glass industry, and need for energy-efficient temperature management are the key factors that drive the growth of the market. Construction glass helps to increase the influx of natural light in the building. This property of glass is used in advanced glazing solutions to significantly reduce the need for heating and cooling in the buildings, consequently reducing energy consumption and associated CO2 emissions. In addition, advancements such as solar control glass, self-cleaning glass, sound reducing glass, and insulated glazing glass have increased the demand for construction glass products in residential and nonresidential constructions. The global construction glass market is segmented based on product type, application, chemical composition, manufacturing process, and geography. On the basis of product type, the market is bifurcated into low-e glass and special glass. Applications covered in the study include residential and nonresidential buildings. According to chemical composition, the market is categorized into soda&dash;lime, potash&dash;lime, and potash&dash;lead. By manufacturing process, the market is classified into float process and rolled/sheet process. Nonresidential application segment accounted for the maximum share in 2015, and is anticipated to dominate the construction glass market during the forecast period. This is attributed to increase in construction activities of green buildings and various government regulations related to energy-efficient buildings. Special glass includes flat glass, laminated glass, and toughened glass. The special glass segment accounted for the largest market share of around 69.6% in 2015 due to increased adoption of flat glass in residential and commercial buildings owing to its various properties such as natural insulation and protection from UV rays & noise pollution. In the recent past, North America witnessed significant growth in the construction glass industry, owing to rapid economic recovery, growth in population & urbanization, and increase in government efforts to enhance residential & public infrastructure. U.S. constitutes the largest share in the North American construction glass market, with highest construction expenditure as compared to Canada and Mexico. Rise in consumer spending to remold houses and stringent norms toward adoption of flat glass in construction industry drive the growth of the market. Development of the construction industry is expected to have a significant impact on the growth of the global construction glass market. Introduction of various innovations in the construction glass industry such as solar control glass, self-cleaning glass, thermal insulating glazing glass, anti-reflective glass, and sound reducing glass is expected to contribute to the adoption of construction glass products in residential and nonresidential buildings. Increased investment in the global construction sector, specifically in the residential and commercial sector, boosts the market growth. However, high cost of raw materials and economic downturn are the major factors that restrain the growth of the market. This report provides an in-depth analysis of the global construction glass market with current trends and future estimations to elucidate the potential investment pockets. 9.2. ASAHI GLASS CO. LTD.
9.4. NIPPON SHEET GLASS CO. LTD.
9.5. XINYL GLASS HOLDINGS LIMITED. 9.6. CENTRAL GLASS CO. LTD. The global construction glass market experienced significant growth owing to development in the construction industry and advancements such as production of special construction glass that protects the internal environment from UV lights and noise pollution. Furthermore, use of different types of construction glass maximizes the influx of natural light in the building. This property of glass is utilized as a part of advanced glazing solutions to significantly reduce the need for heating and cooling in the buildings, consequently reducing energy consumption and associated CO2 emissions. However, high costs associated with raw materials and fuel used in the glass manufacturing increase the cost of glass. In addition, the global construction glass industry is negatively affected by the indigent economic conditions existing in many countries. 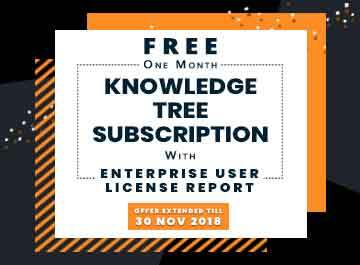 Market players focus to expand their business operations in the emerging countries by adopting various strategies such as R&D, product launch, and acquisition & merger. Nonresidential application segment is expected to dominate the market over the forecast period owing to increase in government regulations related to energy efficiency and rise in adoption of self-cleaning glass and fire protection glass. 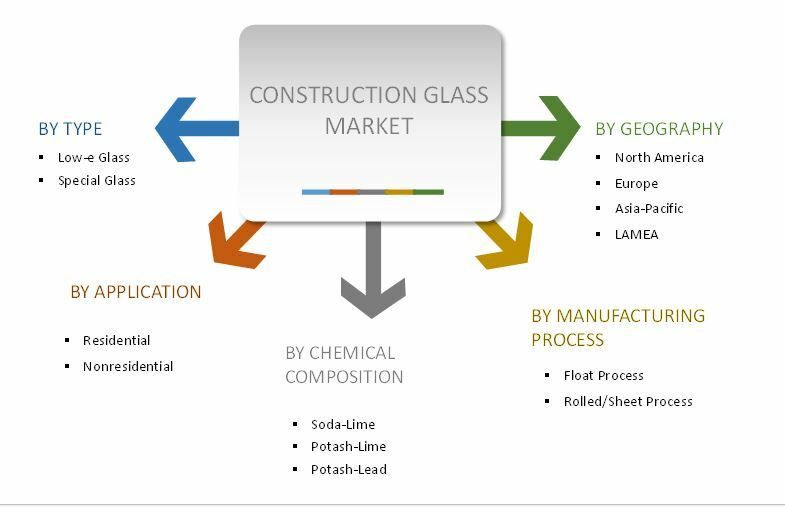 Key players operating in the global construction glass market are COMPAGNIE DE SAINT GOBAIN SA, Asahi Glass Co. Ltd., PPG Industries, Inc., Nippon Sheet Glass Co. Ltd., Xinyl Glass Holdings Limited, Central Glass Co., Ltd., China Glass Holdings Limited, Guardian Industries Corp., Schott AG, and Sisecam Group.